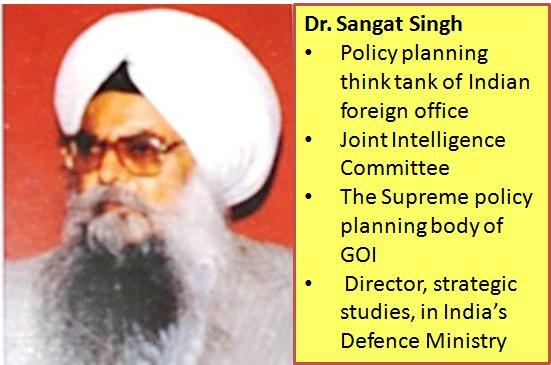 In Dr. Sangat Singh’s book “The Sikhs in History” (page 415) he gives details of Operation Shanti, exposing Indira Gandhi’s evil plan to wipe out all the Sikhs in India. After Beant Singh and Satwant Singh came back from visiting Sri Harimandir Sahib in October 1984, they were deeply troubled by the destruction and bloodshed inflicted on the Sikhs. 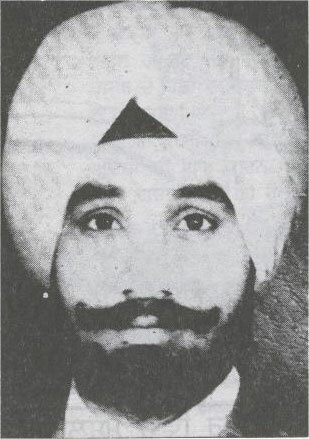 After discovering the planned genocide of the Sikhs, both Satwant Singh and Beant Singh took Amrit and then carried out their own plan to stop Indira. “Indira drew a diabolical plan, named Operation Shanti, to carry out a general massacre of the Sikhs, of genocidal proportions, around November 8, when the Sikhs would assemble in various Gurdwaras for Guru Nanak’s birthday celebrations. According to the plan, large-scale skirmishes virtually amounting to a war were to take place all along the India-Pakistan borders. And, it was to be given out that the Sikhs had risen in revolt in Punjab and joined hands with Pakistani armed forces which had made considerable advances into the Indian Territory. 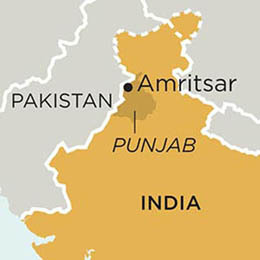 The Sikhs all over Punjab, especially in Gurdaspur, Amritsar, Ferozepur, Kapurthala and Jalandhar districts were to be subjected to massive aerial bombardment, apart from being slaughtered by army and para military forces. The Sikhs all over India were to be subjected to mass scale massacre, loot, arson and incendiarism by lumpen elements organized by Youth Congress(I) activists. Elaborate preparations were made by Youth Congress (I) network all over India; they were to await a coded signal to start mayhem. The plan was discussed with certain army generals who advised Indira against it. They pointed out that Nazis had used gas chambers to finish off the Jews, but had not been able to do so. And, her plan to finish off the Sikhs in one go would only club her name with that of Hitler. But she was unrelenting. Indira was not receptive. In view of her nefarious Sikh genocidal plan, she paid a sudden visit to Kashmir on October 27, when, however, she got the omen of her imminent death. Back in New Delhi, the following day, records the Prime Minister’s Principle Secretary, P.C. Alexander, “she sent for Gen. Vaidya and asked him in my presence about the preparedness of the Indian army in J & K to meet any unexpected outbreak of trouble. General Vaidya assured her that the army was very well prepared for any eventuality and there was no danger of it being taken unaware by the Pakistanis. Indira wanted to involve Vice President from that very stage, as he was to be the acting President once Operation Shanti was operative, and the inconvenient Zail Singh was bumped off. Significantly, Zia ul Haq stated at Indira’s funeral that it was with great difficulty that he had been able to avert a war with India. His then No. 2, Ghulam Ishaq Khan, after demitting the office of President of Pakistan in July 1993, stated that Indira had planned to attack Pakistan but was shot dead some ten days before the D-Day. 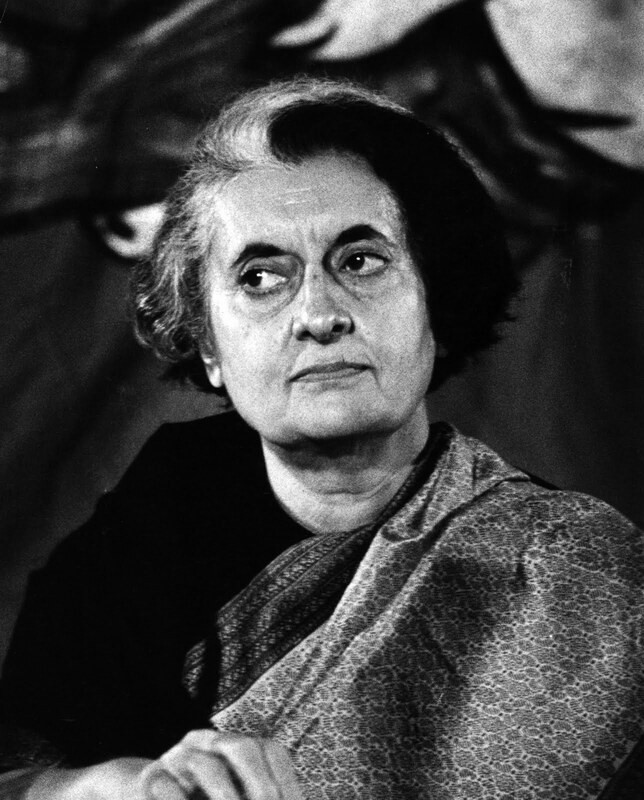 The omen of her imminent death weighed on Indira for the rest of her four days of life. That was uppermost in her mind when she spoke of her violent death at the public meeting at Bhubaneshwar on October 29. Later, in the evening, she broached the subject with Orissa Governor, B. N. Pandey, at the dinner table. The thought lingered on, as she returned to Delhi on October 30 night. But unlike Aurangzeb who was remorseful at the “burden of sin” he was carrying, Indira, not being religious, was unrelenting. Beant Singh, Sub-Inspector in Indira’s security, got the outlines of Indira’s Sikh-genocidal plan from R. K. Dhawan, Special Assistant to Prime Minister, and decided to act to thwart it. He commissioned Satwant Singh to assist him. On October 31, 1984, at 9.00 a.m. Beant Singh with his service revolver shot Indira in the abdomen five times. In less than a minute, at his call, Satwant Singh emptied his automatic carbine in Indira’s abdomen region. Actually, one bullet in the head would have been sufficient. But abdomen was chosen because, firstly, they had been assured that she would not be wearing her bulletproof jacket, and secondly, they did not want to hurt anyone else, which a shot at her head might have entailed. Previous PostPrev Post 1984 Genocide – Facts!